If you suffer from spinal stenosis, your first step should be to visit a spine doctor serving Miami. While spinal stenosis can affect anyone, it generally occurs as a consequence of aging. Spinal stenosis can cause persistent back pain, tingling in the hands and feet, leg cramping, and balance problems. 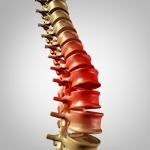 Cervical spondylosis affects many Miami residents. It’s a broad term for problems that can result in neck or back pain. The word “cervical” means that the problem affects the upper spine or neck. Spondylosis encompasses any age-related wear and tear damage, such as degenerative disc disease. You might think of your spine as being a solid structure, but actually, there are open passageways through which the spinal cord and spinal nerves extend. At the rear of each of your vertebrae, there is a large opening. This is known as the spinal canal. Sometimes, one or more of these spinal openings can become narrower than usual, which means the spinal nerves no longer have enough space.